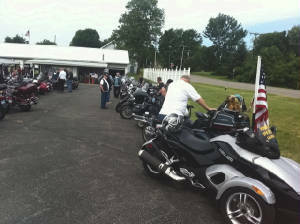 There are three Legion Rider Chapters in Monroe County. 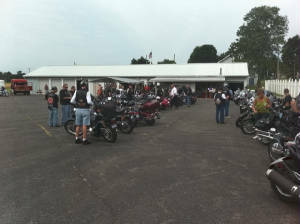 Section 1.There are two requirements for membership in the “American Legion Riders"
or Sons of The American Legion. b. 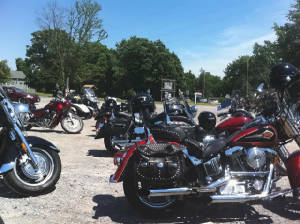 Must own a properly licensed and insured, highway-legal motorcycle or be the spouse of the owner who is an Association member – the spouse must also meet the requirement of Section 1a, of this Article. Section 2. 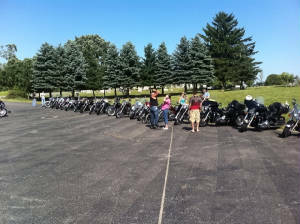 It should be noted that “good standing” membership in a local post ALR chapter (within the Department of New York) automatically denotes the individual a member of the “New York American Legion Riders Motorcycle Association” or NYALRMA.